They might not be known for showing their owners too much love and affection, but that doesn’t have to mean we can’t reciprocate by lavishing them with treats and toys in return. In fact, as any cat owner will tell you, they need no excuse to spoil their moggy, but the savings you can make with our Monster Pet Supplies discount vouchers certainly help. 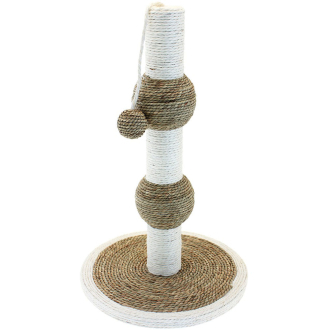 One of the best things you can buy your cat is a simple scratching post and with our Monster Pet Supplies voucher code, there’s plenty of choice – you’ve got the Ancol Fat Boy Cat Scratching Post (RRP: £43.75, now £36.68) and the Happy Pet Darwin Cat Scratch Post (RRP: £19.99, now £12.38) for starters. 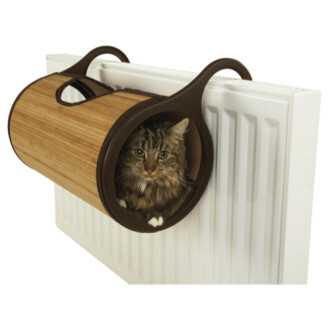 And if you want to go one step further and supply them with extra warmth and comfort, why not invest in their Rosewood Jelly Moggy Natural Bamboo Radiator Bed (RRP: £24.99, now £22.49)? We can’t have a pet-themed post without mentioning dogs as well as cats, and thankfully, our Muddy Paws promotional code can help you out with the cost of all those canine comforts. With 10% off for all new customers, our Muddy Paws coupon code can not only get you access to their site discounts, but also gives you another saving of top of that. When it comes to the comfiest of beds, they’ve got plenty available including the Danish Design Heritage Herringbone Deluxe Slumber Bed (was £16.99, now £14.44 before additional discount) and the Pets and Leisure Premium Heavy Duty Faux Suede Oval Bed (was £42.99, now £36.54 before additional discount), and if you want to treat your pampered pooch to a toy, why not try the Chuckit Sport 18” Ball Launcher (was £9.99, now £8.99 before additional discount) – perfect for essential exercise as well as fun. Just because they don’t live in your house (or maybe they do…), this doesn’t mean you equine pets are any less deserving of those treats and creature comforts, so why not pay a visit to an online horse supply specialist with our Equestrian.com discount codes? 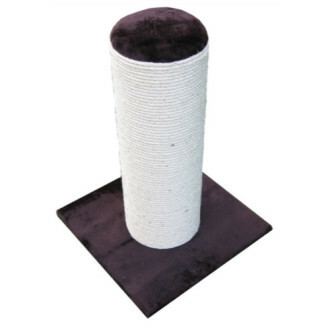 With this current Naylors Equestrian voucher code you can enjoy up to 80% off selected items, and when it comes to keeping your horse warm and toasty, there’s the Kool Coat Airstream Full Neck Fly Rug (was £49.99, now £39.99) and the Mark Todd Quilted Light Weight Stable Rug (was £56.99, now £45.99). Or perhaps you fancy upgrading that grooming kit for maximum glossy manes? If so, use our Equestrian.com promo code to save on the Roma Deluxe Grooming Bag Kit (was £27.99, now £18.99). Finish off National Pet Month by pampering those pets until they can’t be pampered anymore! And these treats really don’t have to set you back too much, not when you use the latest Monster Pet Supplies, Muddy Paws and Naylores Equestrian voucher codes.